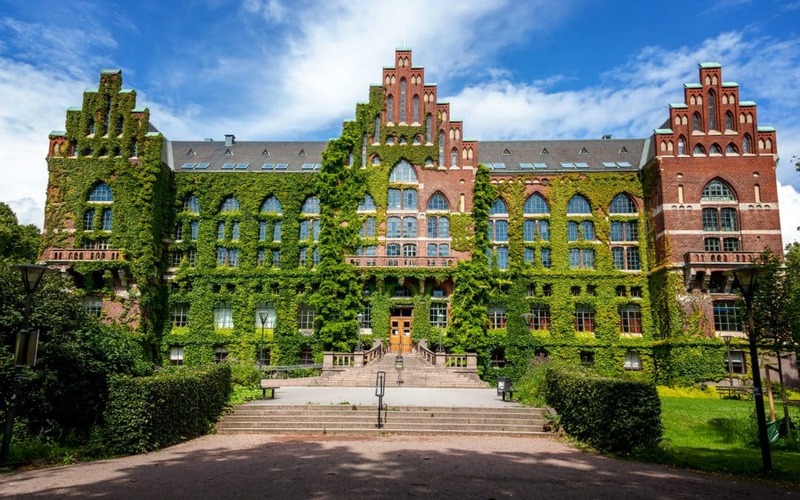 The Transformative Innovation Policy Consortium’s (TIPC) first gathering to discuss inception phase work was at the University of Lund, Sweden in Feburary 2017, hosted by CIRCLE – the Centre for Innovation, Research, and Competence in the Learning Economy. Following the Consortium’s launch in September 2016 at the SPRU 50th Anniversarry Conference, this was TIPC’s inaugral workshop with all consortium members present, along with a team from CIRCLE. The two-day event focused on examining the overviews of transformative innovation policy in each country, establishing a common ground for the consortium members, aligning expectations as well as outlining the work to be done during the pilot phase that concludes in December 2017. “The first point on the agenda was a discussion about the different rationales for joining the TIPC initiative. This showed that the different innovation agencies involved had similar rationales, but also exhibited notable differences. It is perhaps not very surprising that the three agencies from the Nordic countries have a rather common understanding of which types of innovation policies work in these countries and where the boundaries for current policies are, as they are neighbors and close collaborators in many aspects. The arguments put forward by these organizations were primarily describing a sense of being limited by the national innovation system approach to policy making, which was developed more than 20 years ago and which does not necessarily correspond to the expectations of innovation as a key to solve the grand societal challenges of the 21st century, e.g. global climate change and ageing populations. The overall rationale behind the consortium is based on the idea that sharing knowledge, experiments, successes as well as failures in innovation policy could provide the members with better tools to address grand societal challenges. In the case of Norway, the learning and sharing aspect of the consortium was especially recognized; pointing out that sharing their own transformative policy experiments, as well as learning from others, would improve their capability to become “change agents”. Similarly, Tekes – the Finnish funding Agency for Innovation – identified the need to broaden their perspective and international ties. The third member representing the Nordic block, Vinnova, seeks to be able to forge tools, frameworks, concrete mechanisms, and to model a shared vocabulary in order to better understand the needs of the actors they finance and to have better selection processes as a funding agency. Related to the theme of societal challenges, but framed in a slightly different manner, was the issue of inequality between regions and population groups brought forward by the organizations from South Africa and Colombia as the main rationale for aiming to develop new, transformative innovation policies. Besides the common interest in building shared understandings on transformative policy, the members of Colciencias – the Colombian Administrative Department of Science, Technology and Innovation – pointed out that it was also an opportunity to identify the members’ respective limits and shortcomings associated with the political and institutional environment of each country. Representatives of the South African National Research Foundation also pointed out conflicts and inequalities as their prominent challenges. It is therefore not surprising that one of their expectations for the Consortium is to address the problem of inclusiveness and disconnected innovation policy that has sparked social division and inequalities. The subsequent discussion came to focus on policy experiments conducted by the member organizations in efforts to foster and support transformative change. It came across that although all members had been aiming to implement such policies, they had also encountered a range of difficulties. Open and inclusive policy instruments risk being captured by strong, individual actors trying to steer the processes along well-known trajectories. In addition, unequally distributed capabilities and organizational capacity in the different regions often affect the implementation processes in the regions that perhaps need these policies the most. As researchers, we were impressed and encouraged by the reflexivity expressed by the member organizations in their discussions of previous experiments, as it shows that learning from past experiences is indeed a very important part of organizational learning. Another interesting aspect of the discussion was the rather strong emphasis on the need for a new way of telling the story of innovation – a new language and narrative for innovation policy. Neither the focus on funding research and development and hoping for subsequent benefits for society, nor the emphasis of entrepreneurs and knowledge networks seem well suited as narratives in a world where increasing expectations are put on innovation policy to deliver solutions to global problems. Finding concepts and stories that enable a more nuanced discussion about both possibilities and limitations of innovation policy was thus raised as an important task for the future.